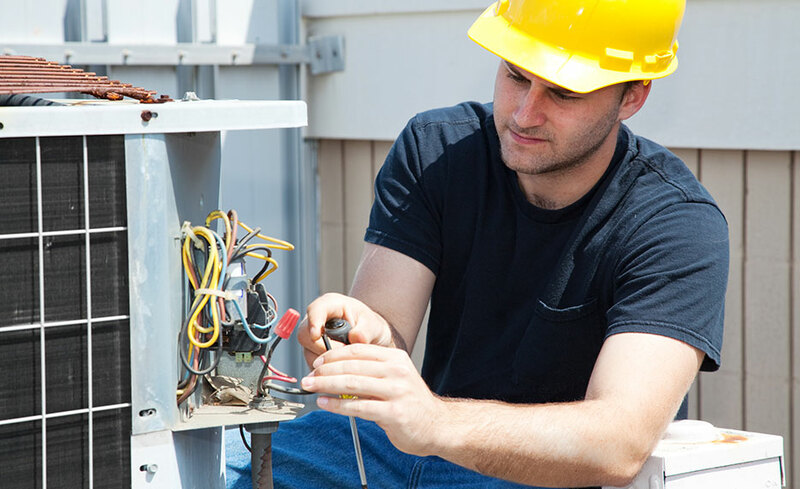 The HVACR Certified Technician program is a unique, all-inclusive online training that encompasses heating, ventilation, air conditioning, and refrigeration. The program is structured to provide an instruction on the skills necessary to installers and technicians who are seeking HVAC certification. This program is truly all-encompassing, because as a part of your tuition, you will receive paid exam vouchers to take exams that lead to the most significant industry certifications. *Students will choose which exam to take that is most relevant to their interests in the industry for both Stage 1 and Stage 2 Certification exams. Enroll today to begin building a foundational knowledge on heating, ventilation, air conditioning, and refrigeration. Embark on the path to nationally recognized certifications that will prepare you to enter the industry as a vetted working professional. Once you complete a basic training and pass the initial qualification exam, you can expand your accreditation and prepare for the Air Conditioning specialty certification exam. Do all of this while you build a solid industry foundation and prepare for the first stage of industry recognized HVACR Certified Technician certification processes. An industry certification in the air conditioning specialty combined with an EPA 608 Refrigerant Handler’s License is key to gaining HVACR workforce credentials and will distinguish you as a motivated technician. Exam vouchers will be included in your tuition. You'll even receive help arranging a place and time for your exams, convenient to your geographic location. The lessons in this program focus on learning objectives that are identified by HVACR industry groups such as HVAC Excellence, AHRI, NATE, RSES, and ACCA, as key knowledge for an HVACR technician. You will receive twelve (12) months total duration of access with sixty (60) day access to each module within the program. **NOTE: You must schedule your specialty certification exam within two weeks of program completion and schedule your exam date for within 30 days of program completion. You will not be issued a voucher beyond those 30 days. This course is designed to provide all the necessary information for a technician to prepare for the EPA 608 Certification exam. Successful completion of all four lessons contained in this module will prepare technicians for the industry standard for EPA. This program can be taken from either a Mac or a PC. On a PC, it is compatible with Windows XP and later operating systems, IE 5.5 and later browsers, Firefox (all versions), Sea Monkey (all versions), and Netscape (all versions). On a Mac, it is compatible with Safari. There are no specific computer requirements other than an Internet connection, and an email account. This program is for you, whether you're ready to start a career in the HVACR industry or if you already work in the HVACR industry and want to expand your experience and/ or want higher accreditation. You'll begin your studies by learning the foundational concepts that support the installation, operation, design, and analysis of heating and cooling systems. Chris Compton brings over 35 years of experience in the HVACR field as a student, technician, contractor, and instructor. He has been certified at the Installation and Service level in five of the NATE certifications. In 1998, he was selected as one of the top 10 outstanding Trade and Industry Educators in the U.S. by ACTE (Association of Career and Technical Education). He received the Imperial Award from RSES for Commercial Refrigeration in 1997, and is a CMS member of RSES. Chris serves as an educational consultant and advisor to HVACR and Building Performance online learning efforts around the globe. All of our programs are self-paced and open enrollment, so you can start them when you want and finish them at your own pace. Upon registering, you’re given twelve (12) months to complete this program. 12. Why do I need this program? It is estimated by the HVACR industry, that we are 60,000 technicians short in the U.S. today of meeting the current need. Since 1982, there has been a student enrollee decline of 71% in HVACR industry conventional programs. Additionally, it is estimated that students with a certificate degree can earn a minimum of $25,000 and within a few years and extra credentials, the sky is the limit. A Service Technician working with an HVACR company in Phoenix, Arizona, earned $142,000 last year using his sales and HVACR experience. 13. How long is each of the HVACR program modules? Each module is 60 days long. If, needed an extension can be purchased for additional time. 14. I realize the length of each module is 60 days long. Can I complete the course at an accelerated pace? Yes the modules can be completed as quickly as you wish to complete them. We have found that on the average it takes about 2.5 to 3.5 hours to move through each lesson contained within a module and study well. That has been the experience reported by past and current students. That means around 20 to 28 hours of study within a module is average to thoroughly complete a module. The 60 days in the module allows some flexibility. You must also have a passing score of 75% or higher within each module. If you finish before then, you may email your registrar to be moved ahead in the program. 15. Is there an instructor available? Yes, you will have a live instructor available 7am-7pm PST via phone, skype, email and online chat. If you have questions outside of these times, you may email the live faculty and receive a response and assistance within 24 hours or the next 7-7 shift. 16. If I complete all of the coursework, will I be considered a certified technician? The course work will properly prepare you for the industry certifications, but you must still pass the Core level and specialty level of the third party industry certification exams to be considered a certified technician. 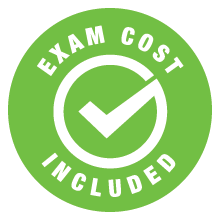 The program includes the cost of the first attempt at each exam (Core and Specialty). If you do not pass, you may retest at their own expense. I would like to thank you for being patient and very helpful while partaking in the tremendous experience with this field of education. I honestly want to thank you for your good work, dedication and support you gave me during the two previous classes. I am not of many words, so thank you very much for all your great help and support. I actually do understand more after your modules, then any of the others I had previously attempted. They started easy and got harder as I progressed, taking longer to master as the number went higher - well done on your end! I really do completely understand how a reversing valve works! The best tool a student can use in this course is the Module Objectives. They are good to reference the particular subject on a page in the module if you have a memory lapse. I very much enjoyed discussing with my facilitator, regarding the applications of basic principles in course work to real world field services. All my facilitators gave me great support with their expertise in their specific fields. I really appreciated their kindness. Natasha you are the best! Thank you for helping me and getting me through my bad times, when I felt like giving up. Ed2go should be proud to have somebody so supportive on their team. THANK YOU! Your class was great, I learned so much. I am already using what I learned at work. I never realized how much was involved in heating and cooling areas, and maintaining comfort for our customers. Thanks again. I would like to thank ed2go and all my mentors, for being patient and very helpful in partaking their tremendous experience with this field of education. More power to all. “I just finished the course #113 HVACR Electrical Common Components. I definitely got a better understanding. I also have a much better understanding of how to hook up my electrical components instead of going by the existing installations. It’s not guess work anymore!